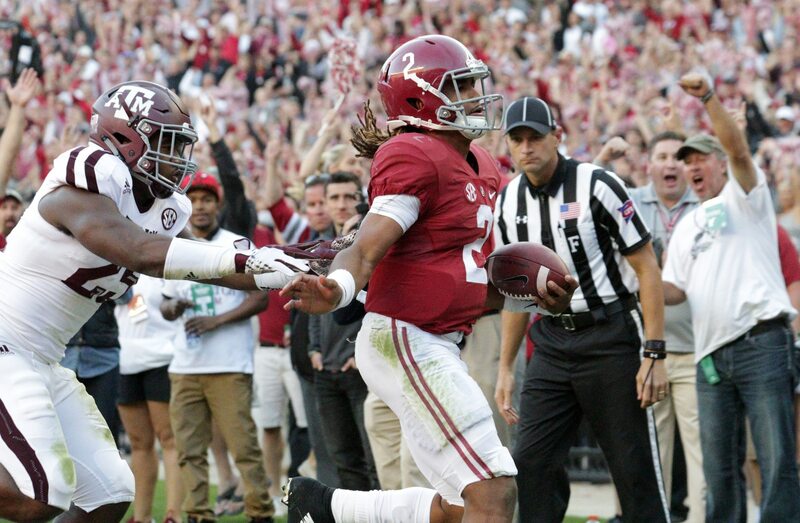 Former Alabama starting quarterback Jalen Hurts announced via The Players’ Tribune on Wednesday that he has decided to transfer to Oklahoma. “I’ve decided to take my talents to the University of Oklahoma, where I will continue my development as both a quarterback and as a student,” Hurts announced. Having already graduated from Alabama, Hurts will not have to sit out a season. And with reigning Heisman winner Kyler Murray headed to the NFL, he’ll be the sooners’ starter in 2019. Here, we focus on the impact of Hurts’ announcement. Oklahoma has a quarterback: This one is pretty obvious. Prior to Hurts’ announcement, redshirt sophomore Austin Kendall was No. 1 on Oklahoma’s depth chart. He was joined by freshman Tanner Mordecai and Tanner Schafer. That’s now changed. Kendall himself had transferred to West Virginia. The Sooners are attempting to block that. This might change the dynamics a bit. Hurts can now prove himself to be a starter-caliber quarterback for a huge program. Whether that translates into him being an NFL-caliber quarterback remains to be seen. Lincoln Riley does it again: He’s simply the quarterback whisperer. Oklahoma’s past two starting quarterbacks — Baker Mayfield and Kyler Murray — are the past two Heisman winners. Sure Hurts doesn’t fit into that category. But he’s proven to be a winner on the national stage. Why would Riley want to leave Norman for the NFL when college football’s top quarterbacks want to play under him? Yeah, the pros are going to have to wait for a while. Changes the dynamics in the Big 12: Move over Texas, you’re playing second fiddle again. Texas had hoped that it would be in a good position in this conference now that Kyler Murray and others declared for the draft. Not so fast, Longhorns fans. Even with Oklahoma’s core players declaring for the draft, this team is still stacked. With Hurt aboard, look for them to be in national championship contention again.